London 1895. 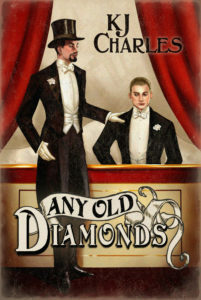 Jerry Crozier and Templeton Lane are the Lilywhite Boys: a pair of jewel thieves with a knack for infiltrating high society and getting away clean. They’re ruthless, shameless, and incredibly slippery. Nobody has ever managed to pin down the Lilywhite Boys. An old flame in deep trouble.